Working in confined spaces is a tricky proposition, replete with hidden dangers that need to be kept in mind for your own safety. Nothing can replace proper training before going into these confined spaces and the benefit of previous experience in working in these types of spaces. Here is some more information and some tips to keep you and your co-workers safe in confined spaces. There can be several kinds of confined spaces such as tanks, flues, ducts, and chimneys that require workers to move around inside an enclosed cavity in order to carry out repairs, cleaning, and other work. But these spaces are not designed to hold humans inside them. They might seem safe to work in, but often carry risks not immediately apparent and can prove life threatening. Thus, certain precautions needed to be taken while working in such areas. Not every kind of worker is allowed to enter a confined work space in order to perform a task. In order to prove that you are qualified to work in enclosed spaces, you need to get the necessary qualification and apply for a permit which will be written proof that you are trained to go into such spaces on your own. In most places, you will be required to have the permit on your person every time you enter an enclosed space. In order to get the permit, you will need to study material related to identifying and evaluating hazards, safe entry procedures that need to be followed, preventing unauthorized entry into danger zones and safety equipment that must be used while working in such spaces. You will also be made aware of the measures to take in case of an accident occurring and the steps to mitigate the danger. Arrange for an initial risk assessment exercise during which you will have to identify areas which pose a potential threat to the health and wellbeing of the worker. This is an essential preliminary step which must be considered, since blindly moving into a confined space to carry out work operations is the most irresponsible and possibly life-threatening mistake you can make. Once you identify the parts of the confined space that carry risk, you need to determine the degree of risk that you are dealing with. There are many factors that can lead to the space being deemed at risk. These include structural weakness, poor building construction, the presence of a wild animal, pieces of concrete or steel sticking out of the floor and walls, and posing a hazard or the presence of fire or harmful chemicals. Once you are aware of the problem, make an assessment for the risk becoming an actual danger. If the risk factor is too high, do not go into the space to carry out your work. Only enter the space once you are certain that the risk level is acceptable. – Apply corrective measures to the problem spots so that the risk level reduces and you are able to enter the space without endangering your life. – Employ safe work practices and common sense that will allow you to do the work without approaching the problem spots. – Make use of personal protection equipment (PPE) so that your body is not exposed to danger and provides protection in case of an accident taking place. Once the control measures are in place, you need to double check them to ensure the measures employed are in proper working order. You also need to check your equipment and clothing to make sure there is no tear or breakage that can increase the risk of an accident, and to replace such items before entering the confined space. Even with all the safety measures you may take, it is not always possible to predict what will happen once you are inside the confined space. If an unexpected problem occurs that might prove a threat to your safety, you need to have emergency measures in place to ensure rapid removal of endangered personnel from the trouble spots. This will involve careful coordination with people on the outside who need to be on hand and alert in order to notice the danger signs, attend to your requests for assistance, and be able to take steps to pull you out to safety. 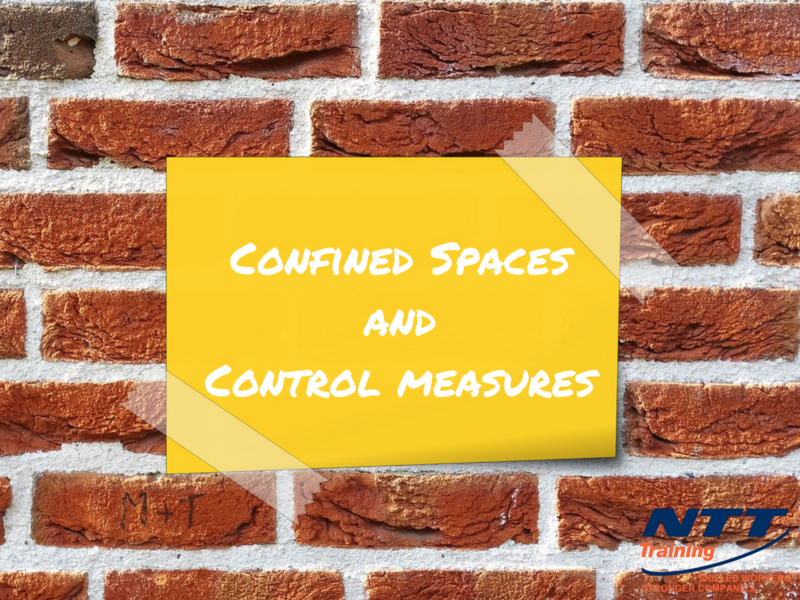 If you would like to learn more about confined spaces and how to stay safe while working in them, Contact NTT Today to learn more about these exciting and important safety measures. Seminars can even take place onsite and be perfectly tailored to your company’s work environment. For more information about NTT Training or any of our electrical/mechanical training programs VISIT OUR WEBSITE and review our TRAINING SCHEDULE.